Boaz and Shakra ran for their lives. Three ferocious dogs chased them, after the Canaanite farmer had determined the boys were no friends, relatives or even distant kinsmen of his. Boaz, much swifter than Shakra, managed to circle around the dogs, pelt each one with a stone on the head, and watch them retreat from their prey, whimpering mournfully. Boaz and Shakra found the campsite to their liking and set up their small tent. They chewed on the dried meat and fresh fruit the supply-master had provided them. Shakra, ravenous from his exertions, gobbled his portions quickly. “You should take it easy with the food,” Boaz commented. “I’m just so hungry, I can’t help myself,” Shakra answered through mouthfuls of food. The two finished eating and laid down in their tent for the night. Each one covered in his own blanket, just a few finger-breadths from each other. Slivers of silver moonlight radiated through the folds of their tent. They both fell fast asleep. In the middle of the night, Boaz was woken by a strange rumbling sound coming from Shakra, tossing uncomfortably next to him. “What’s the matter?” Boaz asked, rubbing his eyes. “My stomach. I’ll be back.” Shakra got up and departed the tent. Boaz rolled over and went back to sleep. Moments later a finger jabbed him in the ribs. Boaz ignored it and rolled over. The finger jabbed him again. The insistent finger jabbed him another time. “Shakra! Stop it!” Boaz said angrily. Boaz felt the finger yet again. “What is the matter with you! 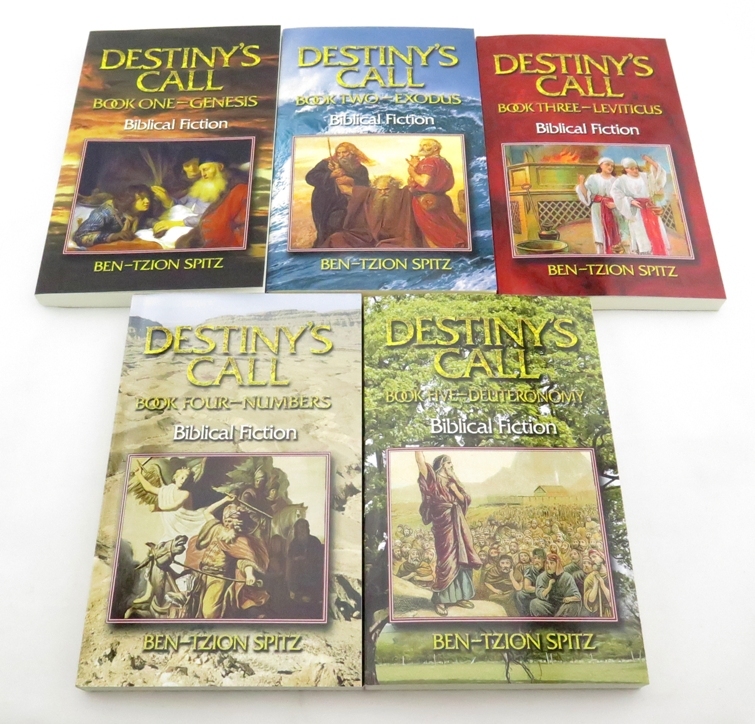 ?” Boaz sat up quickly and yelled to his side. He was surprised to see golden teeth shinning from the reflected moonlight, on the face of an ancient-looking man sitting next to him. His skin was as wrinkled as a prune, yet somehow pulled tightly on a small skeletal frame. Boaz reached for his short sword, but before he could move, the old man jabbed Boaz’s neck and arms, paralyzing his limbs. “What stories? Of my father, what have you heard?” Yered insisted. “Moses would. More than shepherd, I did not expect that runaway to become. As a child, remember him I do. Always trouble causing in Pharaohs palace. Ploop!” Yered pinched Boaz’s nose at the last word. “Stop that! Why have you come here? What do you want from me?” Boaz demanded, arms and torso still paralyzed. “Lonely, was I. Ages ago, left home. Boring, to deal with children and grandchildren and great-grandchildren. Embarrassing, all names not to remember. Ploop!” Yered pinched Boaz’s nose. “Ow! Please stop that!” Boaz pleaded. Boaz flinched at the last word, but Yered held his hand back with a wide grin. “If free you, promise to behave?” Yered asked. “Yes, though I may have to pinch your nose back,” Boaz responded. “Decades of nose-pinching, you are against.” Yered quickly jabbed Boaz’s neck and arms. Boaz was able to move freely once again. Suddenly, the tent fold opened and Shakra’s sword stabbed at Yered. With blinding speed, Yered moved behind Boaz. “Who is he?” Shakra asked, sword still extended. “Myth?” Yered exclaimed and before anyone could move, Yered jabbed Shakra’s arms and neck. Shakra collapsed onto his blanket. Yered retrieved Shakra’s sword mid-fall. “Dangerous swords. Could hurt if fall on. Ploop!” Yered pinched Shakra’s nose on the floor. “Who are you? What did you do to me?” Shakra twisted his head to look at the golden-smiled Yered. “Carotid artery, jugular vein, vagus nerve, and radial nerve of forearm muscle disabled did I. Practice of many decades to find quickly. Yered son of Job am I. Ploop!” Yered pinched Shakra’s nose again. “From filthy Gibeonite charlatan, nothing I want. Little Hebrew interesting. Ploop!” Shakra’s nose was pinched a third time. “What do you want from me?” Boaz asked. “Company. Descendant of old acquaintances are you. Of younger days almost reminds. Ploop!” Another squeeze of Shakra’s nose. “Know the Hebrew God, I do. Lying Gibeonite perhaps more sophisticated that I thought. But I shall not relinquish my freely taken right to nose-pinch until you have tried it yourself,” Yered motioned to Boaz. “I shall not.” Boaz crossed his arms. “Delicious,” Yered grinned gleefully. He jabbed Shakra in the neck and arms. Shakra’s stiffened limbs revived. “Why don’t you just join the Israelite camp, if you are looking for old friends or their descendants?” Shakra asked as he massaged his neck and arms. “Caleb and Joshua only, remember from those days. Welcome would not. Father not stand for Hebrews in Pharaoh’s council, did he. Chuckle they would, as their master Moses, at the story of my father’s tribulations. Nachshon was more understanding, always more daring, more open. Not philosopher. Enough of philosophers. Will settle for young descendant.” Yered looked down, hiding his gleaming teeth from the moon. “Why do you have golden teeth?” Boaz asked. Yered smiled again, lightening the tent. “To the Philistines,” Boaz and Shakra answered in unison. Yered immediately grabbed Shakra’s blanket, lay down, and fell into a deep sleep, quietly cooing ‘Ploop’. The meager details of Job (Iyov) are covered in the beginning and end of his book. The Talmud and Midrash disagree as to whether Job lived or not and if so, when. The greatest number of sources seem to place him in the time of Moses (who is also credited with writing the Book of Job). One source has him as one of the three advisers to Pharaoh on drowning the Hebrew boys (Bilaam was for it, Jethro was against it and Job abstained – some attribute his punishments to that). 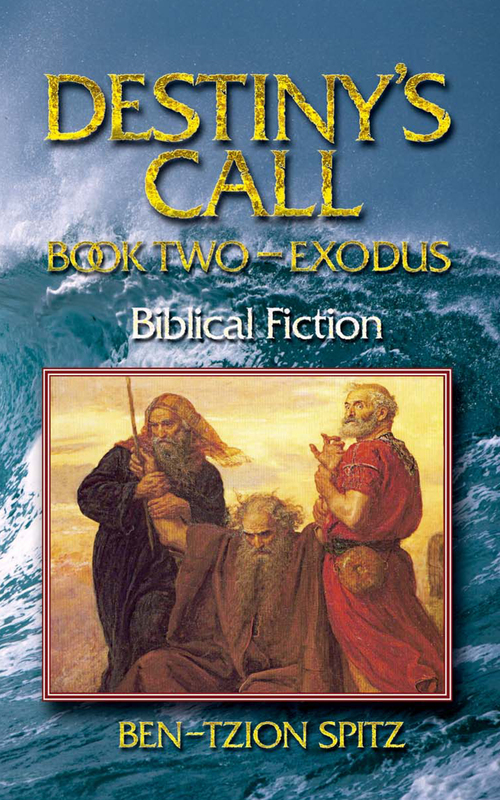 The Biblical text has Job living another 140 years after his story. Yered son of Job is fictional name, though Job was blessed with several unnamed sons.